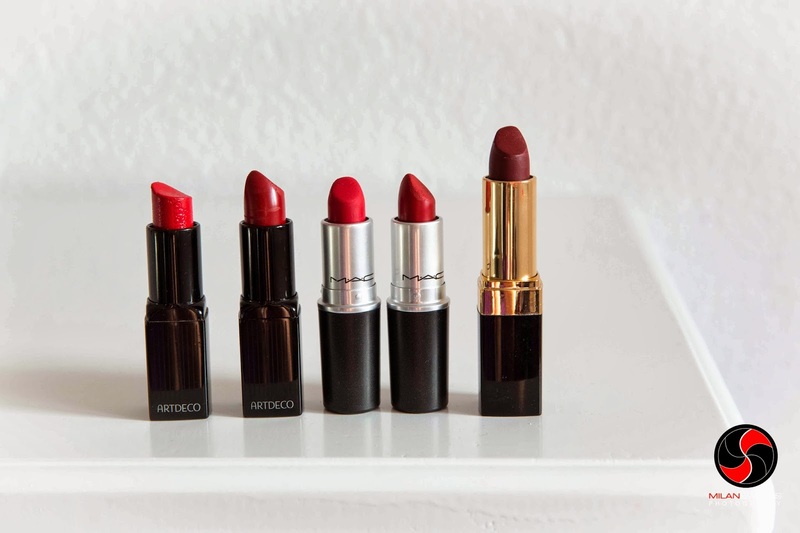 I received many questions which red lipsticks I m using, and here I will show you my favorites. Like you know I have red lipstick every day on my lips and I don't feel same without it. 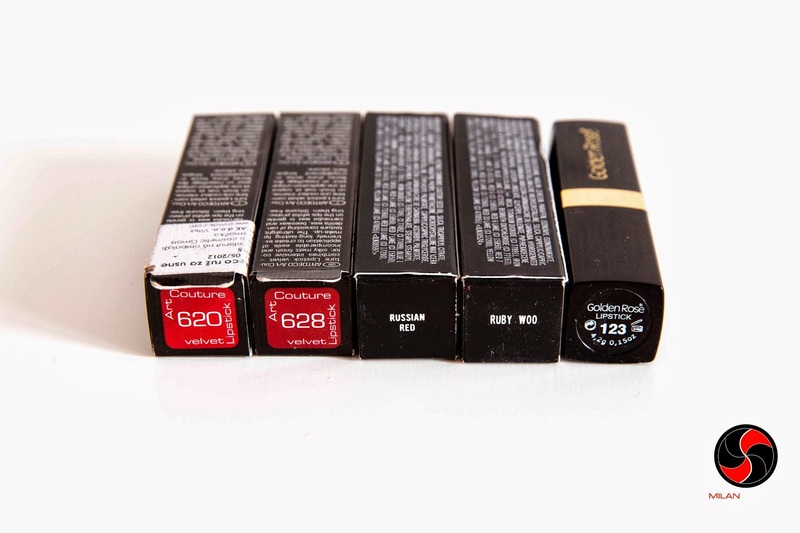 When I m choosing lipstick, for me it is important to have matte finish and long lasting! I like many different shades of red, like brighten red-orange and dark red, cherry shades. ARTDECO- Dita Von Teese 620- This lipstick I m using the most. Perfect red shade, combines intensive color, silky matte finish and really easy application. I m scared what will happen when I come to the end of this lipstick because it is Artdeco Limited Edition. ARTDECO- Dita Von Teese 628- It is a darker shade of red, more like color of red wine ( I m not so good in explaining colors). Like the previous one, really good finish and long lasting. 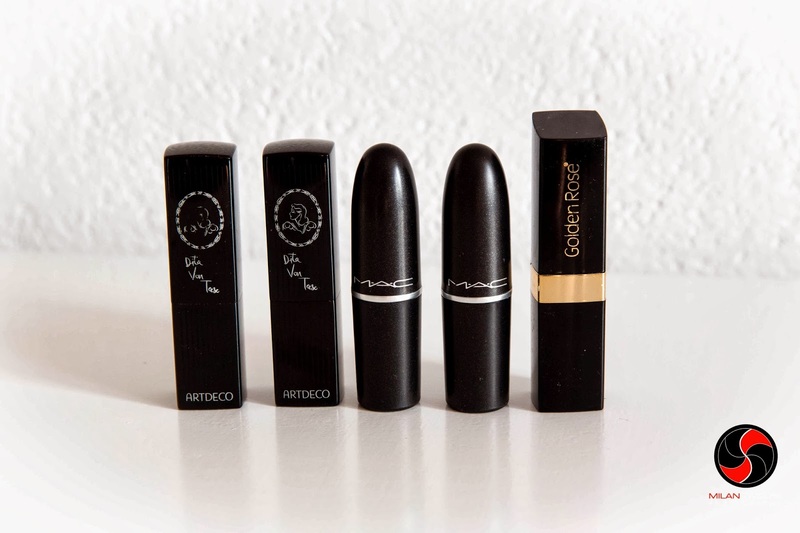 I really like the package of these lipsticks,it black and really glamorous. MAC Ruby Woo- It is retro matte lipstick. Lipstick is dry but don't make problems to my lips, and I m so glad, because this lipstick I adore. Totally vintage color and you can drink, eat this lipstick will not move from your lips. .
MAC Russian Red- This is the shade of red with blue undertone, darker then Ruby Woo. It has a matte finish, but completely matte, since it retains a bit of a creamy sheen. Golden Rose 123- I was reading about this lipsticks, but never had opportunity to try them. I saw this wonderful lipstick accidentally, because I was looking for dark red or cherry shade for my 20's look. 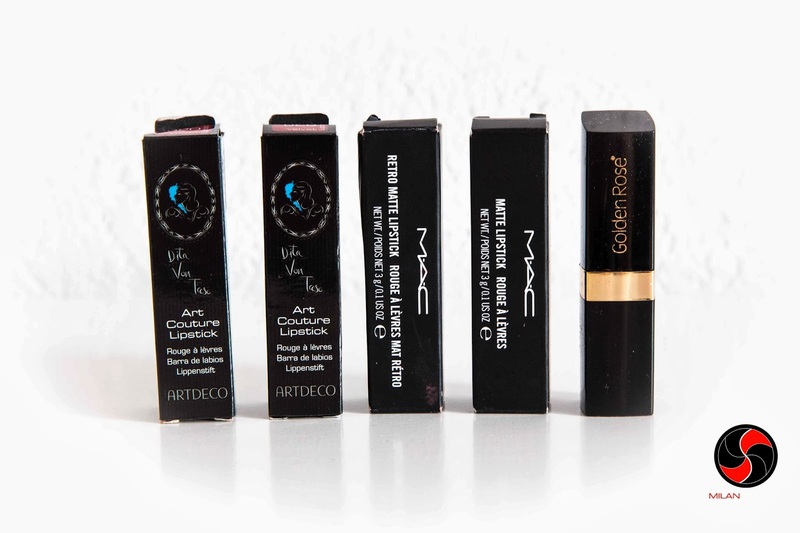 I really like this lipstick, it is long lasting, and color is perfect. Perfect for 20's look. Do you tried some of these lipsticks? Obozavam crvene ruzeve. Ukoliko nisi probala Rimmel Kate Matte, preporucujem. Ja od crvenih koristim Golden Rose 65 i NYX Matte Bloody Mary. i love a good makeup review! I have the two MAC lipsticks and love them, too. Mostly I use the Russian Red. I love the color, it always fits. I also have a Dita Von Teese Lipstick, but a different shade. It's more of a pink-red, perfect for the summer.